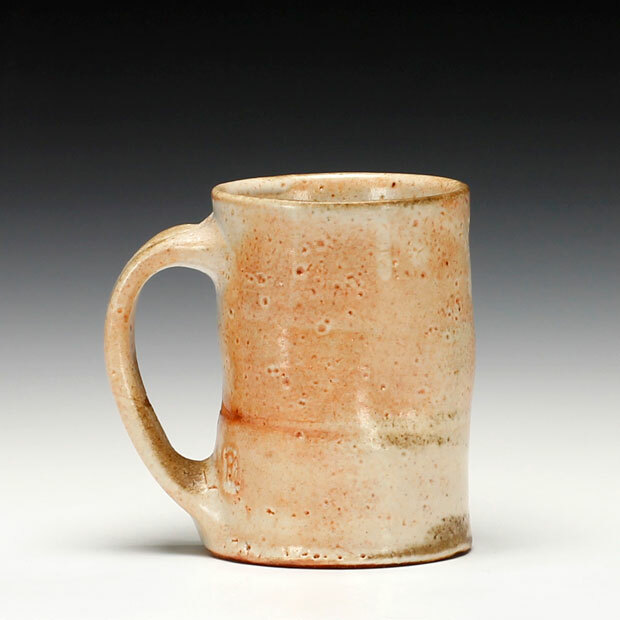 Randy Johnston has been working in ceramics in his Wisconsin studio for more than thirty five years. He is recognized internationally as an artist who has pursued functional expression and brought a fresh aesthetic vision to contemporary form, and for his many contributions to the development of wood kiln technology in the United States. 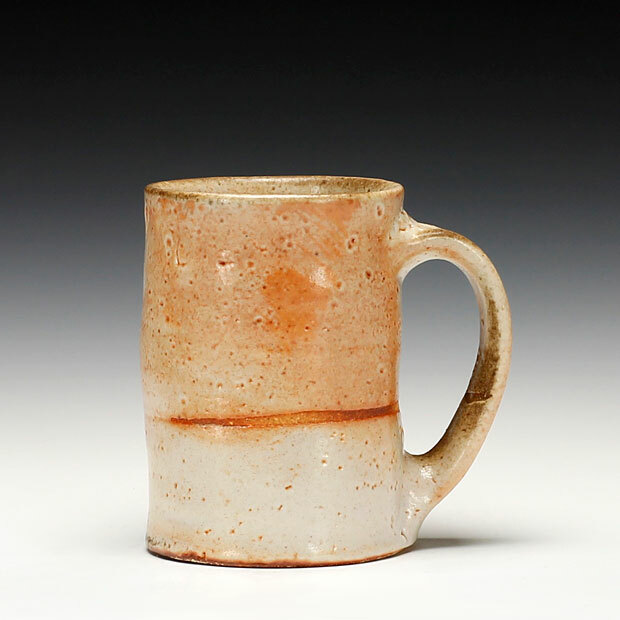 He is currently a professor at the University of Wisconsin - River Falls, where he teaches ceramics and drawing. As I work in clay, the reality that is the starting point is the choice to investigate the formal range of the vessel (pot) structure in clay, and the belief in the potential that the pieces must entertain, suggest a narrative and allude to things outside of themselves. The largest question is how to invest my art with life, force, and dignity and with a sensibility to the process and material. I am interested in this process as a means to manifest ideas and form. Categories are not important. The ongoing pursuit to enlarge the boundaries of conventional perceptions is essential. I would hope that in my work there is a glimmer of a unity that art has enjoyed in earlier ages and other cultures, when it has been less jealous of its autonomy, and more willing to share its functions with religion and magic. This work becomes a symbol for attitudes, sensibilities and philosophies, some of which are shared, by directly articulating the perception of user / spectator whose world the work has entered. My involvement with materials and making does not present itself as a dominant and simple factor, but rather as the center of a complex of ambiguities. I believe this work allows an aesthetic, which is meaningful, important and valid in terms of it's ability to express the whole range of our emotional and intellectual response to form, color, light and texture, and is able to stand as successful visual objects. After returning from Japan in 1975, I rebuilt my kiIn incorporating many of the subtle ideas about design that I had learned from the old kiln builders in Mashiko. These refinements had been resolved over hundreds of years of firing pots with wood, sometimes in the same families and locations. My wife Jan McKeachie and I met in 1975. We were married in 1978 and have fired most of our work in our large wood fired Nobori gama (1972-present) or Anagama kiln(2002-present). The architecture of wood kilns makes them wonderful objects, creaking, belching, and breathing...It is an architecture completed by fire and containing the violence out of which living pots emerge. Wood firing is an aesthetic choice, the greatest issue, regardless of technique and process is quality, and does the work ask new questions? I want my work to have a distinctly marked sense of clarity, a deliberate engagement with art past and present, and continuing aesthetic discourse with the expressive and conceptual intent of functional pots. Awareness of this layering brings me to a sacred place, a memory of a perfect place where we can stop and play with our minds and voices. With intuition and ideas we make. Constructing, layering listening to the echoes. This space also exists often within the architectural structures of our work as we attempt to define space, design structure, and deal with symbolic interpretations. The complex of social interaction and place of our humanity within this structure is in large part a continuing expression of my conversation with the material and process of clay.